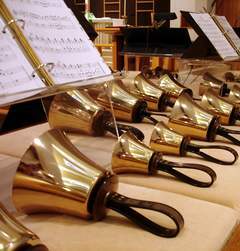 Handbell ringing is a wonderful art form and brings a very special and different dimension to our worship time. Learning to ring handbells requires commitment, teamwork, and fun – and this group evidences all of these traits in their playing! If you would like to learn how to ring, beginner training is available.